Plenty of Red-breasted Nuthatches calling along a 1.5 mile stretch of Main Road, Gill during my morning run today. Birds heard in at least four different spots, who knows how many individuals involved? Still several Red-eyed Vireos and another Pine Warbler singing along the same stretch of road. 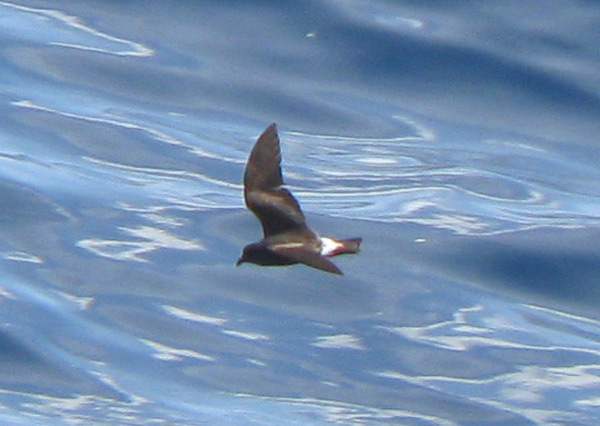 Band-rumped Storm-petrel - Welker Canyon, MA. August 26th, 2012. Another highlight from the 'BBC Dream Pelagic'. Prolonged, close views of Band-rumped Storm-petrels. A total of nine went down in the log for the whole weekend. 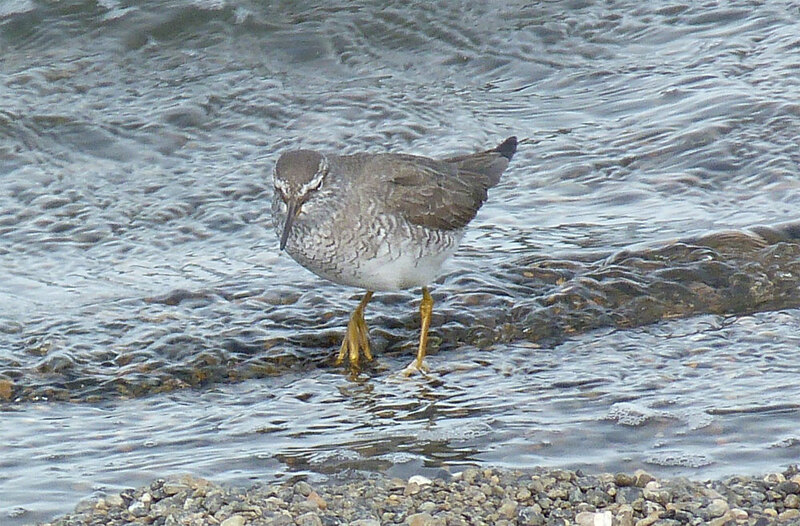 Many, like this bird at Welker Canyon, showed a strong interest in our chum-slick. 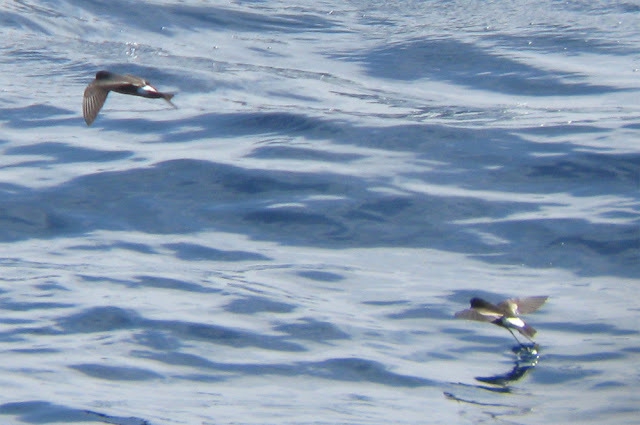 Although I've seen Band-rumpeds on BBC pelagics before the views have often been fleeting and incomparable to the excellent show we had on this trip. All images taken using Leica 8x42 bins and a Canon Powershot A590 compact digital. 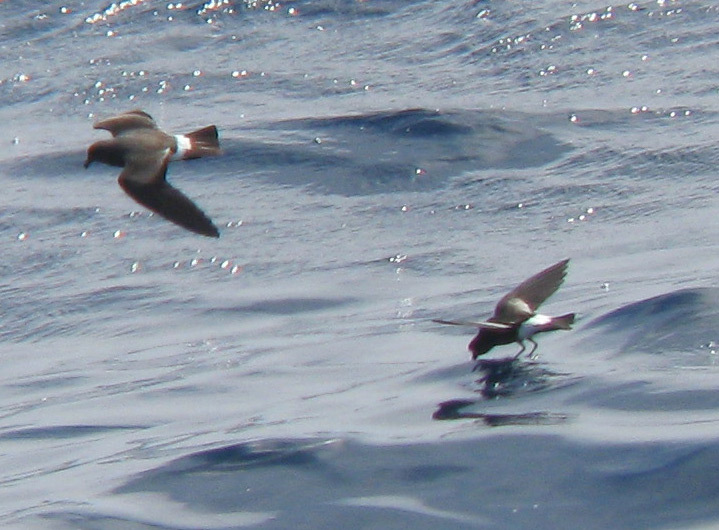 Band-rumped Storm-petrel (right) foraging with Wilson's Storm-petrel - Welker Canyon, MA. August 26th, 2012. 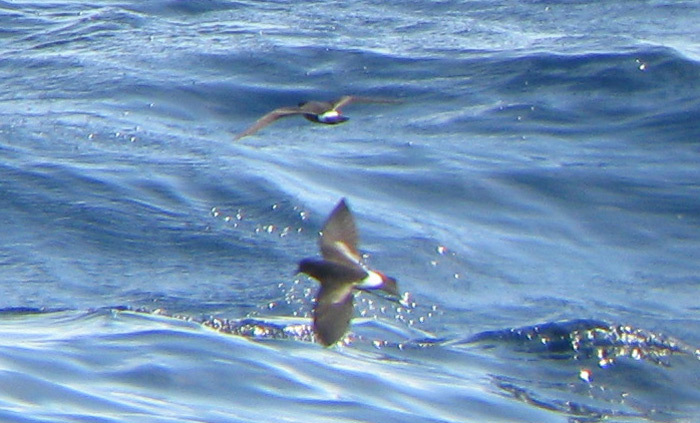 Band-rumped Storm-petrel (left) and Wilson's Storm-petrel - Welker Canyon, MA. August 26th, 2012. 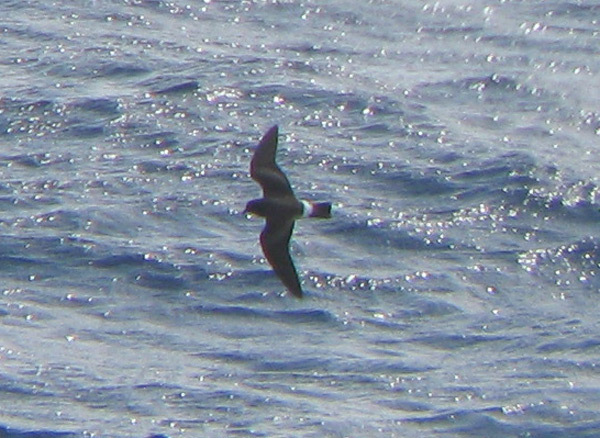 Band-rumped Storm-petrel - Welker Canyon, MA. August 26th, 2012. 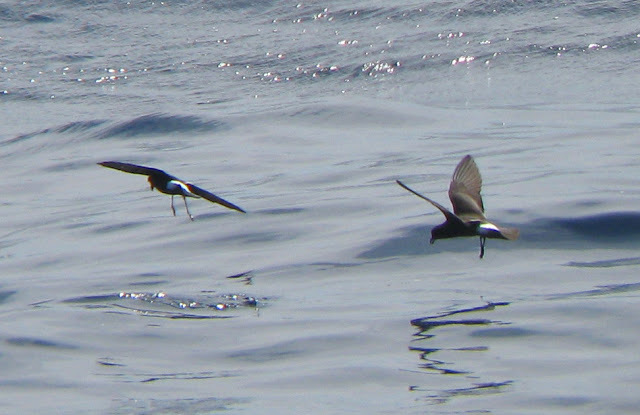 Band-rumped Storm-petrel (rear, gliding away) and Wilson's Storm-petrel (foreground) - Welker Canyon, MA. August 26th, 2012. 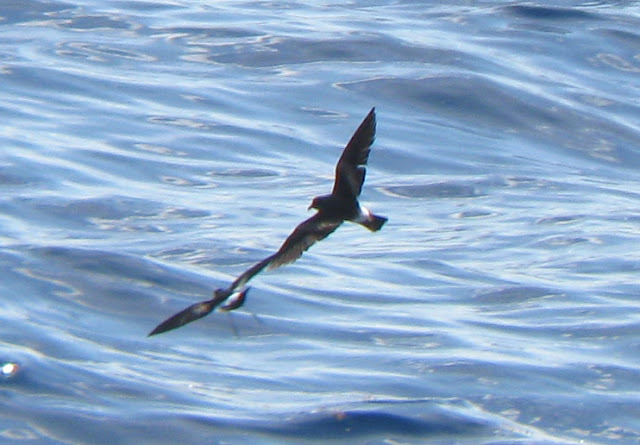 Leach's Storm-petrel - this 'scary' looking bird with a fairly square tail is a molting Leach's, but superficially resembled Band-rumped in the field. 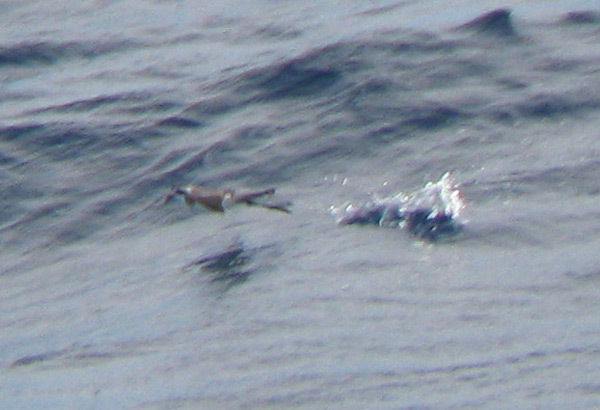 The same bird is featured in the image below. 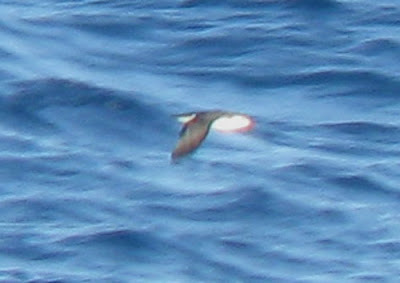 One of many Leach's seen on the trip, though none gave the impression of such a squared-off tail as this bird. However, it was confidently and correctly called by Marshall Iliff and others at the scene. 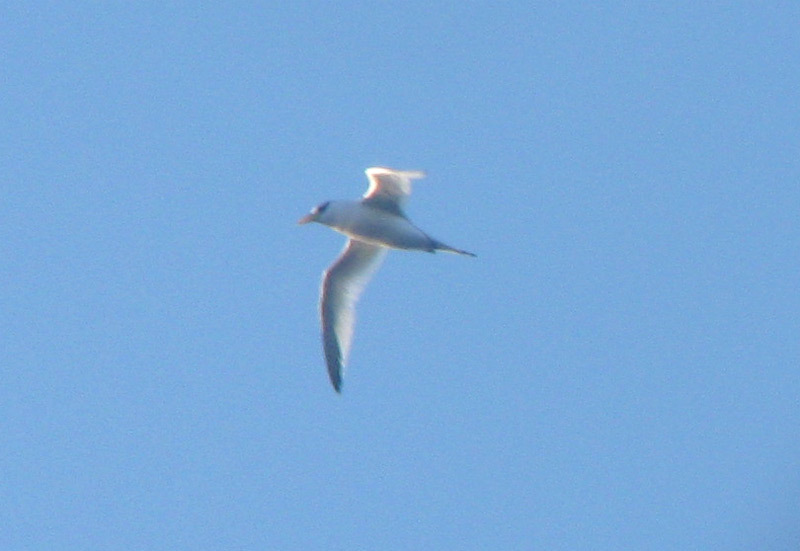 A few notable observations from the Gill area over the last few days. Tuesday August 28th produced a Red-breasted Nuthatch in the yard plus a Barred Owl calling close to the yard at dusk on the same day. 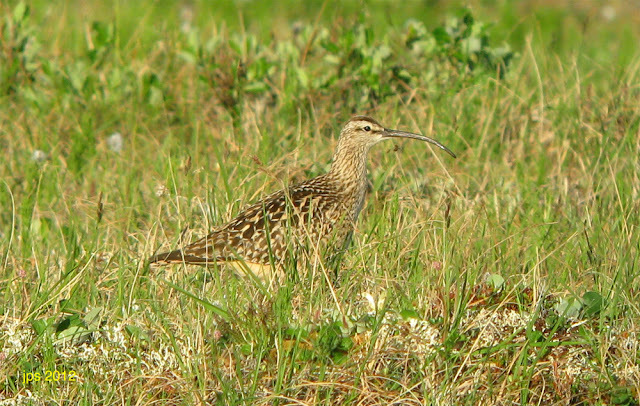 Also on the 28th, some 45 Common Nighthawks hawking over a corn field NE of Upinngil Farm in early evening. August 29th produced a Purple Finch moving south over Main Road, plus several Pine Warblers singing in the area, and another Pine Warbler in song near Gill Fire Station on the 30th. 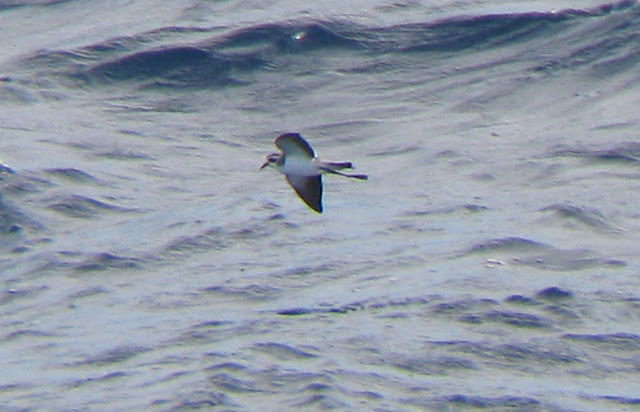 Red-billed Tropicbird - north of Oceanographers Canyon, MA. August 26th, 2012. 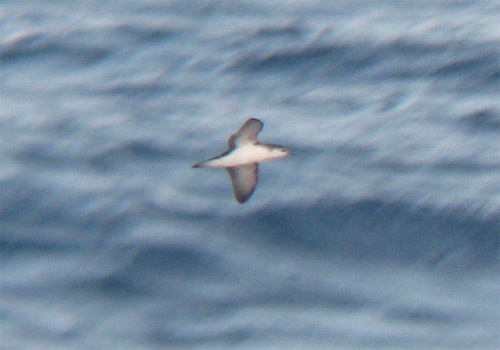 We were still reeling from the Barolo Shearwater (seen just 30 minutes earlier) when this tropicbird approached the boat from stern. It put on a spectacular show cruising around the boat for an extended period before disappearing just as suddenly as it had appeared. Initially taken to be a young White-tailed, Tom Johnson pointed out that the images revealed black primary coverts, a diagnostic feature of Red-billed. It was the first tropicbird of any kind to be found on a BBC Extreme Pelagic. Digi-bin images taken using Leica 8x42 bins and a Canon Powershot A590. 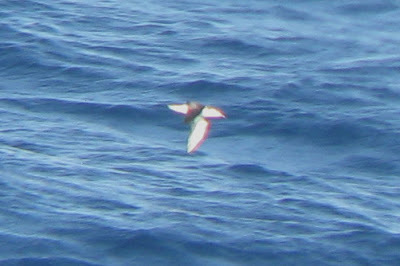 Barolo Shearwater - north of Oceanographers Canyon, MA. August 26th, 2012. 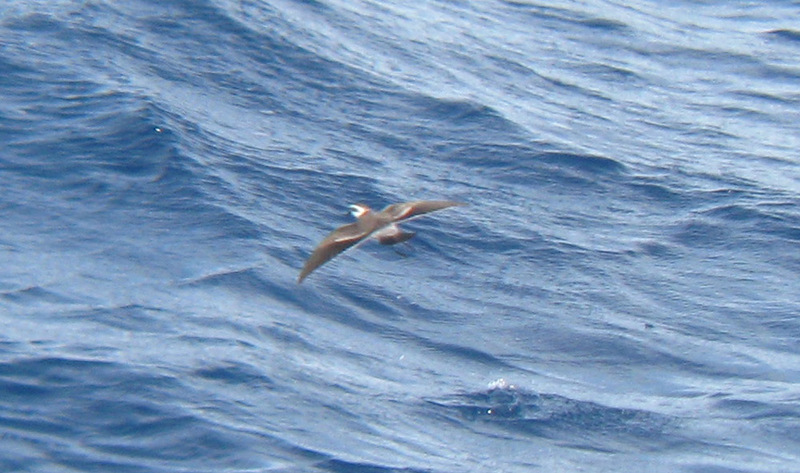 The bird above was initially spotted by Nick Bonomo just after dawn, and was the best wake-up call imaginable for everybody on board on the Helen H! It put on a tremendous show wheeling around the chum-slick for several minutes only to be followed by another, or perhaps the same about 90 minutes later. 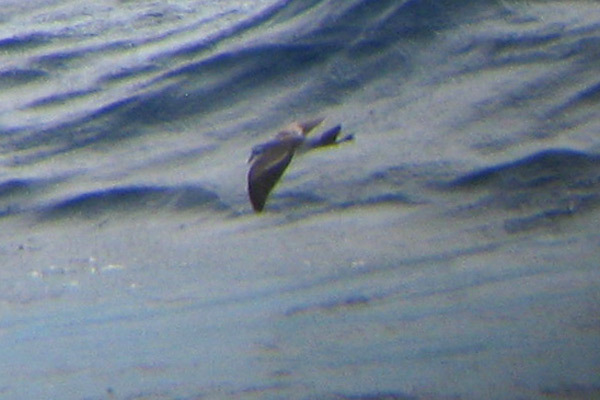 I did rather badly at getting any decent digi-bin shots of this fast moving shearwater, but felt happy to come away with a few record shots of such a 'mega' rarity. 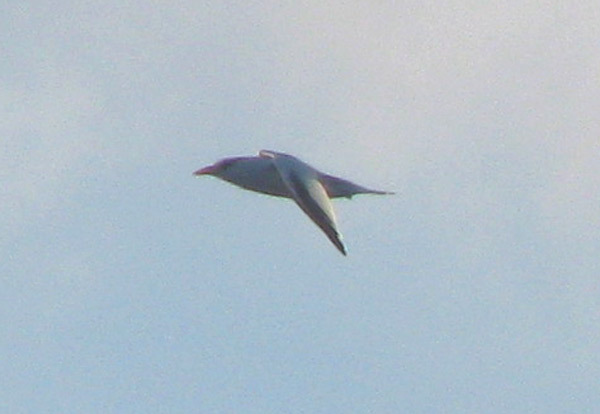 The image above was taken at 06:11 hrs, and the two below, possibly of a second individual, were taken at 07:44hrs. Images taken using Leica 8x42 bins and a Canon Powershot A 590. 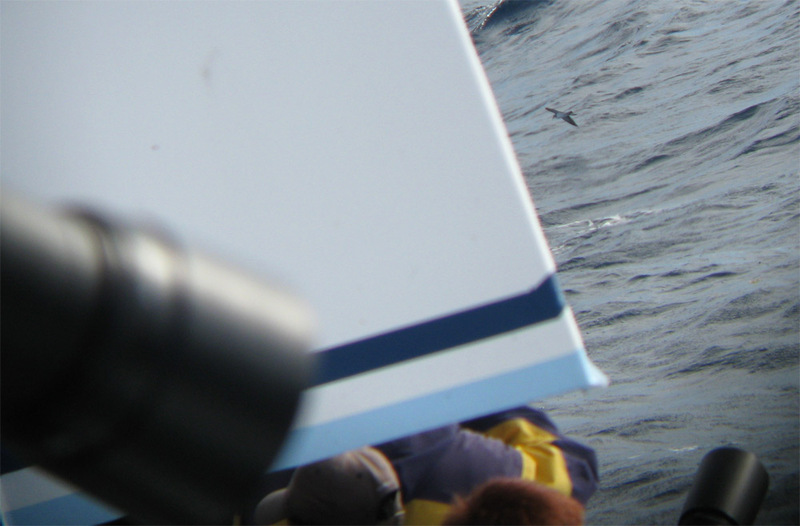 More from the 'BBC Dream Pelagic' to follow. White-faced Storm-petrel - One of multiple individuals (perhaps as many as five) seen in the vicinity of Dogbody Canyon, MA, on the BBC dedicated 'extreme' pelagic. Though perhaps the main target of the trip, White-faced Storm-petrels turned out to be just one element of an excursion that was widely regarded as the most successful pelagic to take place in New England waters in recent years. 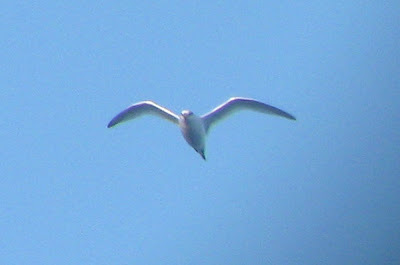 All images are digi-bin shots taken using Leica 8x42 binoculars and a Canon Powershot A590. August 25th, 2012. 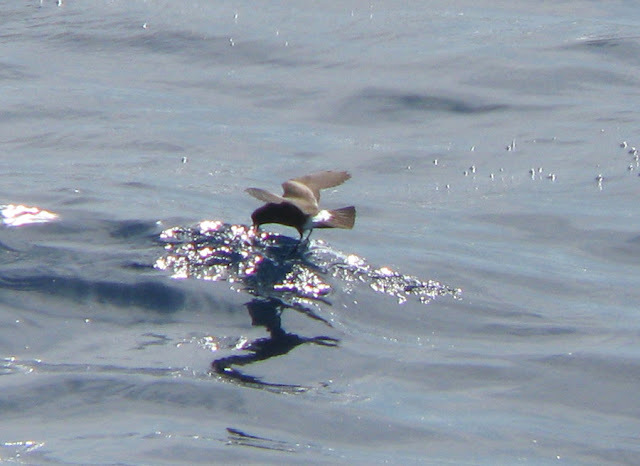 More on the 'BBC Dream Pelagic' to follow. (Mexican) Spotted Owl - Scheelite Canyon, Ft. Huachuca, Arizona. July 29th, 2012. One of many highlights from a recent tour of Arizona with Birdfinders. 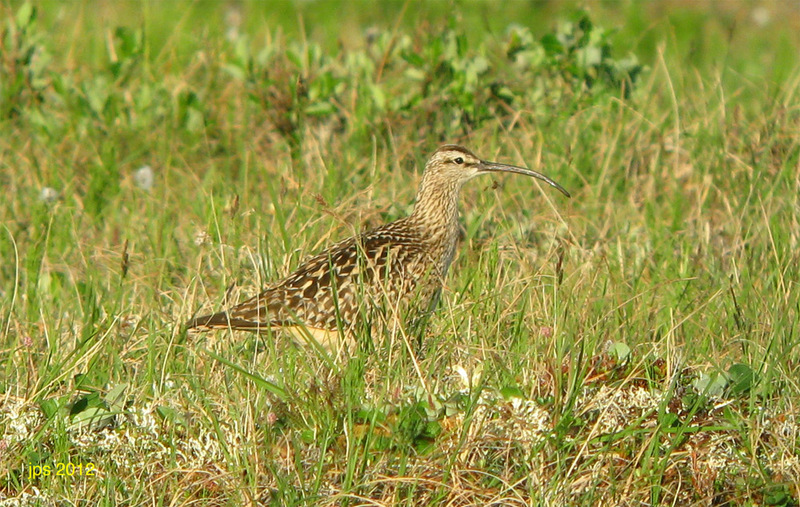 Bristle-thighed Curlew - Coffee Dome, Nome, Alaska. July 1st, 2012. 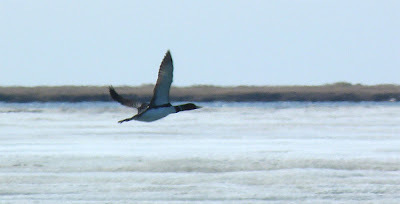 Much anticipated highlight from our three day visit to Nome. The views were perhaps the best that we've had on any Birdfinders tour to Alaska. 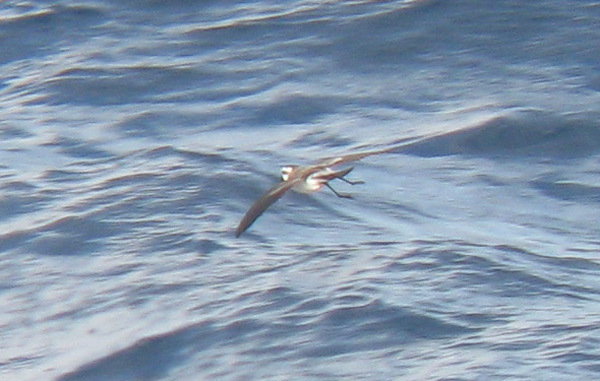 This bird simply flew towards our group and began foraging right in front of us! 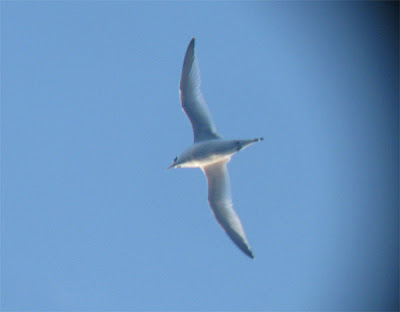 Digi-scoped shot using Canon Powershot A590 through Swarovski HD scope. JPS. 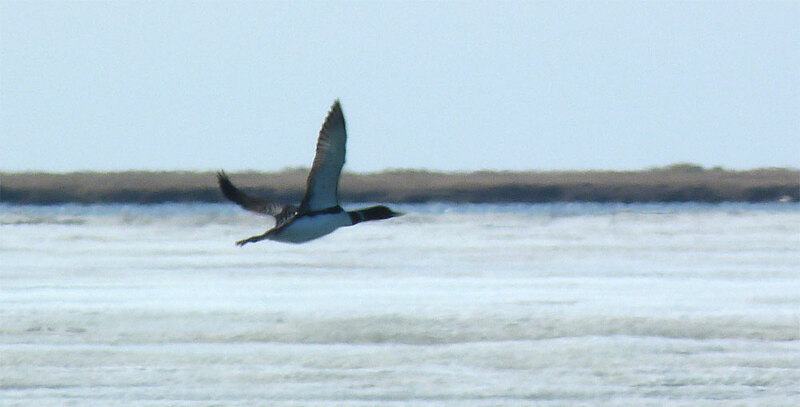 Yellow-billed Loons - Barrow, Alaska, June 22nd, 2012. Another highlight from the Birdfinders tour of Alaska. 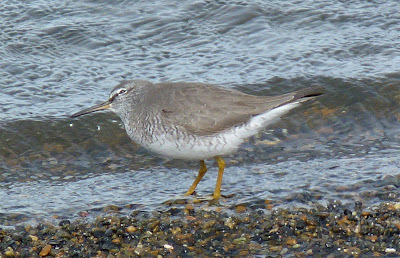 Things were looking gloomy for seeing this charismatic species until our last morning in Barrow when we were fortunate to find about five birds close to town. Panasonic Lumix FZ40. JPS. 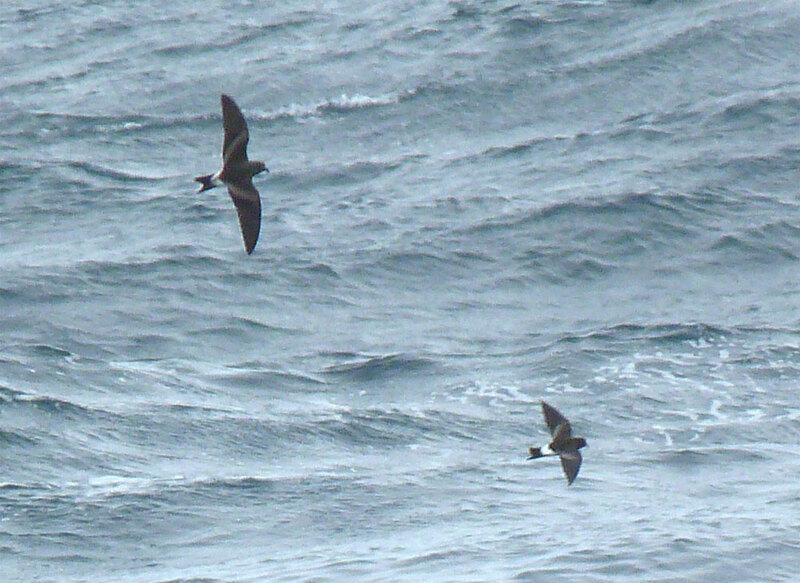 Leach's (left) and Wilson's Storm-petrels - Atlantis Canyon area, Massachusetts waters, July 21st, 2012. 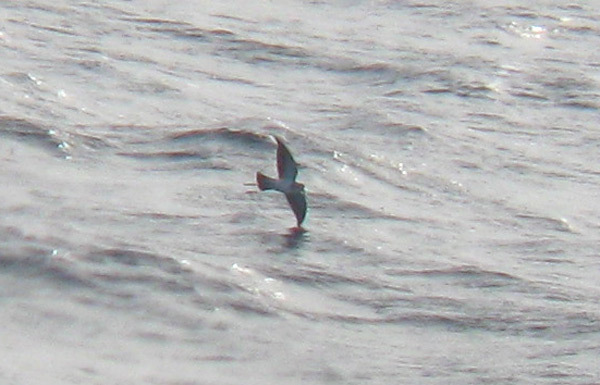 Shot taken on the Brookline Bird Club Extreme Pelagic, an 'extremely' successful outing with a fine haul of 112 Leach's Storm-petrels recorded. 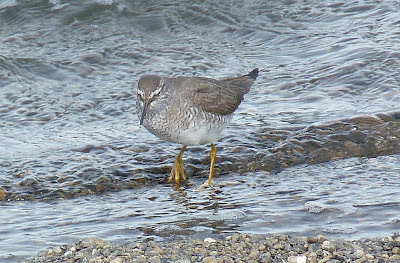 Moreover, the views of the Leach's were exceptional with prolonged looks at birds around the boat and foraging around the chum slick. The same trip was highlighted by the finding of a Black-capped Petrel, about the 6th state record but the only the second to be photographically documented. Panasonic Lumix FZ40. Continuing yesterday's theme, another Red Crossbill in Gill, but this one flying right over our house on Main Road at 10:28hrs, and heading south. 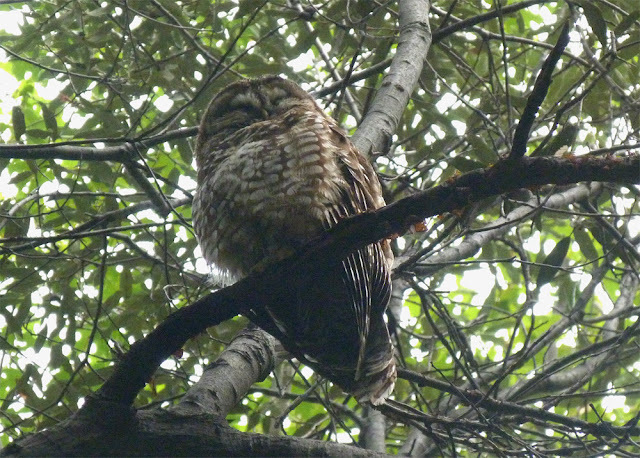 Shortly afterwards, a Red-shouldered Hawk began calling close to the yard, our first this year. Feeling distinctly autumnal early on this morning with 50 degrees and a heavy mist at dawn. A nice surprise this morning - a Red Crossbill calling from the northern end of Mountain Road in Gill, subsequently seen flying off to the south-west. 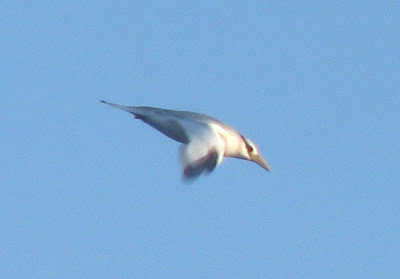 Most certainly new for me in Gill and a bird that I've seen very little of statewide over the years. Yesterday evening, a brief stop on Montague Plains (on Plains Road) at dusk quickly produced a vocalizing Eastern Whip-poor-will. On Friday (August 17th) a Least Flycatcher in the yard and 4 migrating Common Nighthawks overhead gave a welcome hint that fall migration is moving on a pace after our return from a family break in Oregon. Finally back in Massachusetts after a steady series of tours (Colorado & Wyoming, Alaska and Arizona), that's in addition to family holiday in Oregon. 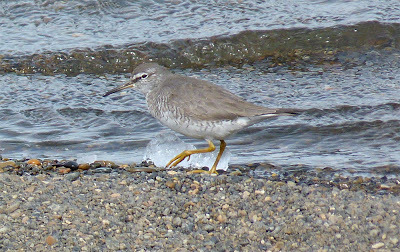 Time to reflect on a few tour highlights, not least of which was this unexpected Gray-tailed Tattler photographed in Barrow, Alaska on June 21st, 2012. More from recent trips to follow. 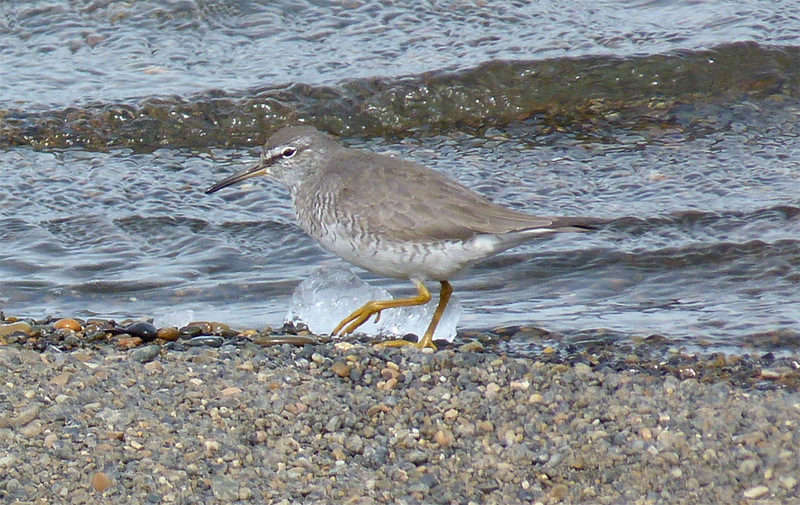 Gray-tailed Tattler, Barrow, Alaska, June 21st, 2012. Panasonic Lumix FZ40.